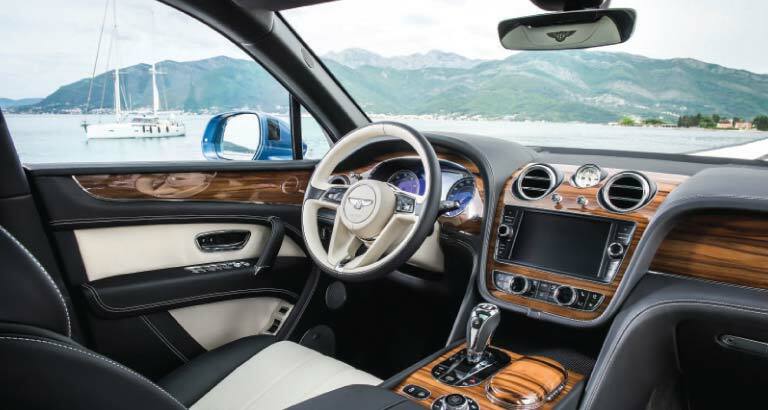 Bentley recently added its first new veneer in five years – Liquid Amber – to its collection. This is the brand’s seventh exclusive veneer option. New veneers are an extremely rare occurrence in Bentley interiors. Liquid Amber is sourced from the American red gum – or American sweet gum tree – which grows along the rich, moist soils of the Mississippi wetlands in the south-eastern states of America. Bentley sources only the highest quality trees, and harvests the veneer just twice a year due to restricted access across the wetlands. The wood undergoes a natural smoking process, which takes several weeks, to give it a deep, rich brown lustre while maintaining the warm, red hue. The veneer is then transported 4,500 miles back to the team of experts in the Bentley woodshop in Crewe, where it is examined alongside the six other carefully chosen veneers available exclusively to Bentley customers.